Bakri, M. (2019). Implementing Lean Tools to Streamline Banking Operations: A Case Study of a Small Lebanese Bank. Management Studies and Economic Systems, 4(2), 131-144. Mohamad Bakri. "Implementing Lean Tools to Streamline Banking Operations: A Case Study of a Small Lebanese Bank". 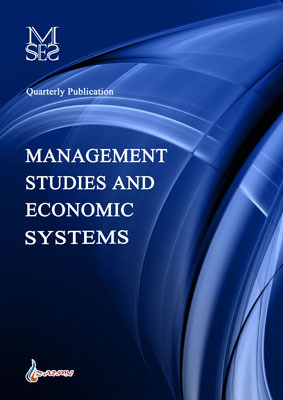 Management Studies and Economic Systems, 4, 2, 2019, 131-144. Bakri, M. (2019). 'Implementing Lean Tools to Streamline Banking Operations: A Case Study of a Small Lebanese Bank', Management Studies and Economic Systems, 4(2), pp. 131-144. Bakri, M. Implementing Lean Tools to Streamline Banking Operations: A Case Study of a Small Lebanese Bank. Management Studies and Economic Systems, 2019; 4(2): 131-144. The purpose of this paper is to discuss the benefits generated from the application of lean tools in banking services. We will highlight on challenges, advantages, and principal success factors for lean implementation. As financial markets are experiencing changes so it’s mandatory to create a streamlined bank to meet the new expectations in a timely manner while continuing to lower operational costs. The methodology used is a case study research based on a participant observation, in which we describe and analyze the implementation of VSM lean tool in a real banking environment. The main findings illustrate the great potential and capabilities of the lean tools when implemented. VSM is a very helpful Lean tool for banks to embrace disruptive technologies and create better experiences for customers and employees. We argue that to maintain and realize a sustainable achievement, lean practices must be adjusted and become a characteristic of bank culture.